Twin Peaks co-creator Mark Frost’s tie-in novel, The Secret History of Twin Peaks, had the conceit that it was an in-character mass of documents that FBI Agent Tamara Preston was looking over and annotating after their discovery at a crime scene, thus providing a wealth of new information about the history of the town from before its founding right up to the end of the original series, recontextualising material, rehabilitating some of the dross from the limp end of series two, and acting as a delicious appetiser for the weird banquet that was Season 3. 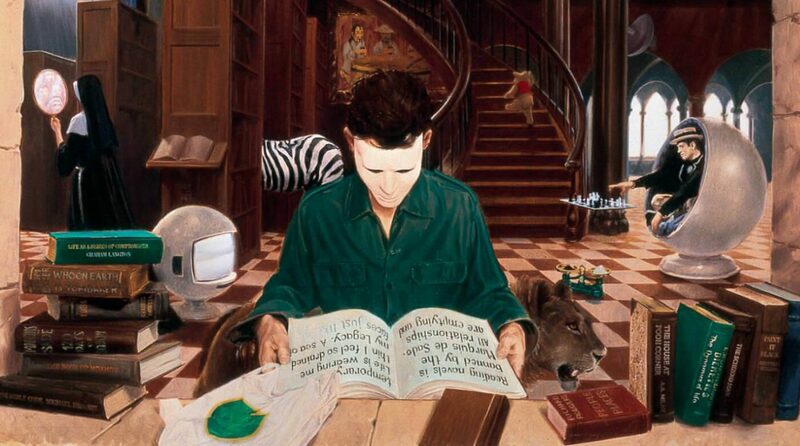 Like I said in my review of the Secret History, it was basically a Twin Peaks take on House of Leaves. The news of a third season of Twin Peaks, coming 25 years or so after we last visited it via the weird hybrid prequel-sequel movie Fire Walk With Me, felt both like a glorious opportunity and an enormous creative risk. Not only had plot elements from the original’s ending suggested that a comeback in 25 years might be possible, but also the spectre of network interference that was widely held to have scuppered the original was banished. Written solely by creative leads Mark Frost and David Lynch, and directed from start to end by David Lynch, the whole prospect gave the series creators far more control than they ever had (or could have dreamed of receiving) during the show’s original run. Early on in the production process there was a risk that Lynch would walk away due to not being given the budget to tell the story he wanted; Showtime buckled, gave him a free hand, and later took pride in promising viewers the “pure heroin David Lynch”. That in itself is testimony of how the original Twin Peaks changed the television landscape. The major question was whether the magic of the original could be recaptured. 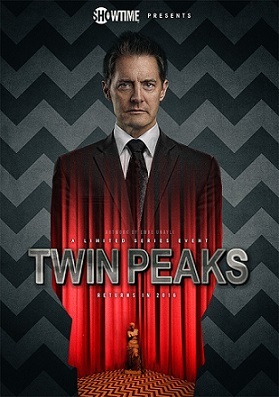 It becomes apparent very early on in this third season (sometimes dubbed Twin Peaks: the Return) that Frost and Lynch know full well that their unique selling point lies in letting David be David; the big question was whether you could do that over 18 episodes of a TV series and not allow it to become frustrating and stale. Incredibly, they more or less manage it, and they do it by once again refusing to be bound by the accepted wisdom of how television works. I’ve got good news: that gum you like is going to come back in style. Twin Peaks is returning for a new season after a 25 year gap that seems strangely planned, and I’m tremendously excited about the whole thing. One thing which is particularly gratifying is that show masterminds David Lynch and Mark Frost have remembered that Twin Peaks was an early example of a multimedia event, with tie-in media offering non-essential but sometimes fascinating supplementary material to enrich the experience. One of the nice things about these items is that they were diegetic to the series, presented as artifacts from its world – sometimes representing significant plot points. Murder victim Laura Palmer’s secret diary, for instance, was a significant clue – and was actually published for us to read. Thus, ahead of the new series, Mark Frost has put out The Secret History of Twin Peaks, representing one supporting character’s idiosyncratic take on the subject that provides a few tantalising hints of what might be coming up, but focuses more on contextualising some of what has come before. So, how best to catch up with Twin Peaks? The first port of call should probably be the now ironically-named Entire Mystery blu-ray set of the show’s original run, which includes all the episodes of both seasons, extensive extras, the prequel-sequel movie Fire Walk With Me, and – to the great delight of fans – a fat stack of cut scenes from Fire Walk With Me, spliced together by Lynch into what almost qualifies as a supplemental movie.